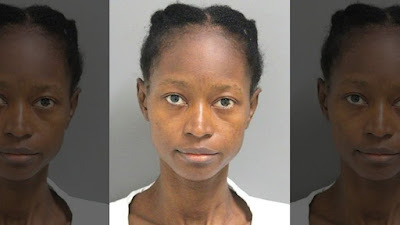 A 30-year-old Liberian mother was arrested on Monday in Delaware,Wilmington after she was accused of drowning her son and his brother, in a bathtub because she was afraid of being deported. Kula Pelima was charged with two counts of first-degree murder in the deaths of her 3-month-old son named Solomon Epelle who was her biological child and the baby's 5-year-old half-brother, Alex Epelle, who was her Nigerian boyfriend’s son with another woman.The couple lived together in Wilmington, and she helped care for both children. According to FOX 29, Wilmington police stated they were called to the apartment on the 800 block of West 9th Street around 3:45 a.m. EDT Monday morning. Pelima was worried she was going to be deported because her Nigerian boyfriend, Victor Epelle, had been detained by agents with U.S. Immigration and Customs Enforcement. Court documents stated Pelima had contacted the police concerned she was going to be deported because her visa had lapsed, according to local news station WDEL. Wilmington Police Chief Robert Tracy said the police had responded to her home at that time and assured her no one was going to come for her. Tracy, however, did not say Pelima was an illegal immigrant but cited court documents saying she had immigrated to the United States from Liberia at age 10 and was living in the country legally. When police saw the children then, they were awake and well, leading the police to feel the children were not in danger. However, they returned about four hours later after Pelima had called 911 saying she had drowned the two children. According to local news station, WDEL, Pelima said she dropped Solomon in the bathtub and turned on the water and left him on his back as the tub filled after she plugged the drain. She then physically assaulted the 5-year-old before walking him to the bathroom and held his head under water until he stopped moving. "She was pretty matter of fact about admission that the two children were dead. Our officers discovered them in the back bathtub," Tracy said. Upon the arrival of the police, she showed them to the bathtub where officers found the two boys’ bodies. The gas for the stove was also switched on in the house. "We all have the questions: Why would someone go through and do what they’ve done. We don’t have the answers either." Pelima is currently being held at the Delores J. Baylor Women's Correctional Institution on a $2 million cash bond. Pelima’s boyfriend, Epelle, 38, was taken into custody by immigration authorities in Pennsylvania on Sept. 14. He was in the United States legally, but he had violated the terms of his status, ICE said. It wasn’t immediately clear what he had done. He was released from custody on Monday on humanitarian grounds after being notified of the deaths of his sons.